True or false? A dyslexic person may be able to read very well but find it difficult to write or spell. True. 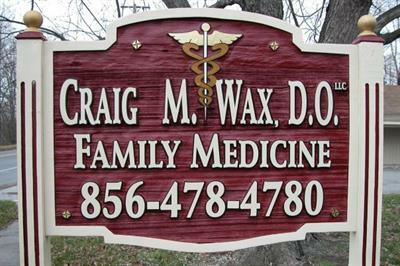 "Dyslexia is a language disability not just a reading disability, meaning that it affects reading, writing, and spelling," explains Craig M. Wax, D.O., an osteopathic family physician in Mullica Hill, NJ. "In addition, it affects the ability to process information and to concentrate." Between 10 percent and 15 percent of school-aged children in the United States have dyslexia. However, only five percent of children are properly diagnosed. The Dyslexia Research Institute has provided a list of some common signs of dyslexia depending on the individuals age. For instance, pre-school children may begin to talk later than most children; have difficulty with rhyming, or be slow to add new vocabulary words. Symptoms for children between kindergarten and 4th grade may be slow to learn the connection between letters and sounds; make consistent reading and spelling errors such as inverting letters by using "m" for "w"or reversing words like "pit" for "tip;" and often grips a pencil awkwardly. Children in 5th grade through 8th grade may show symptoms of reading below their grade level or spelling the same word differently even on the same page. In addition, they may experience trouble with math problems and difficulty with comprehension. For older students and the adult population, the symptoms may include reading slowly and inaccurately, difficultly answering open-ended questions on tests and experience trouble with outlining and summarizing. Although dyslexics often have good people skills, they may hide reading problems and avoid writing. "When talking about dyslexia, some people may hear the terms dysphonetic and dyseidetic," says Dr. Wax. Dysphonetic refers to those who have a hard time sounding out words or with spelling. This can also be called auditory dyslexia because it is associated with how people process the sounds of language. Those with dyseidetic dyslexia have difficulty recognizing whole words and with spelling. Thus, it is also known as surface or visual dyslexia. Dr. Wax states that the goal is to diagnose the disability early on in order for these individuals to get appropriate help so that they can achieve their goals and be successful in all aspects of their lives. There are two types of tests for dyslexiascreening tests and comprehensive tests. Screening tests are used to narrow down a large group of students who may be dyslexic. This test asks about spelling difficulty and reluctance in attending school. Comprehensive tests hope to find the underlying causes for possible learning disabilities the test-takers may have. These are thorough examinations, which include tests for spelling, math, reading, and visual scanning. Today, many sensory learning programs exist that improve auditory and visual processing for individuals with dyslexia. With the help of your family physician, supportive family, friends, and teachers, dyslexics can develop their talents and skills to the utmost potential rather than compensate or cope with their disabilities.